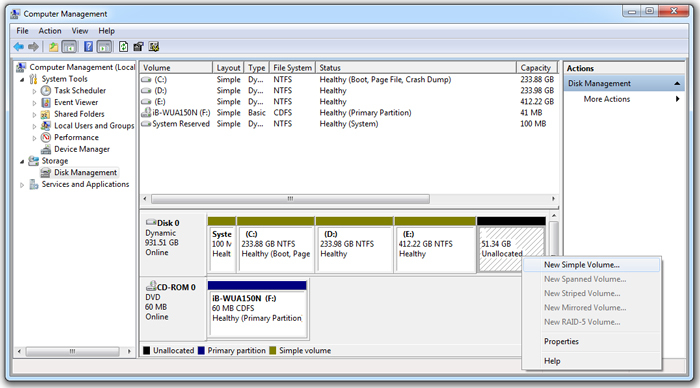 When it comes to creating or formatting Partitions in windows , most people are not aware of the disk management tool in windows and they prefer to use a windows installation disk to create, delete or merge Partition on a windows PC . Well in case if you are planning on formatting the windows Partition itself , then you would definitely need an windows installation disk . 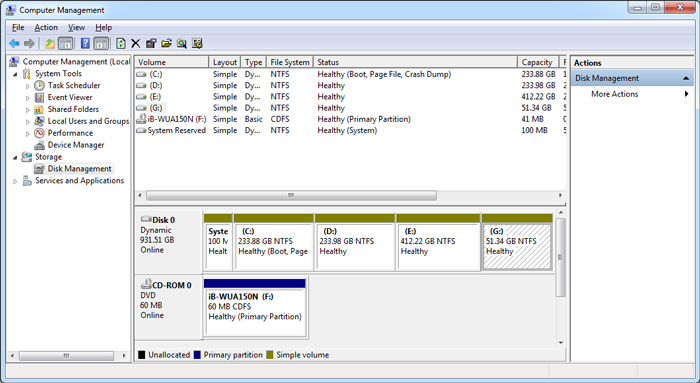 Otherwise For all of your other needs to create , merge or delete Partitions in windows you can always make use of the inbuilt disk manager on your windows computers . There were the four main reasons of how you could make use of the Diskmanagement tool in windows . While there are many other third party tools available in the market , but the diskmanagement tool in windows is a much easier option for new windows users . Depending on your requirement you might be searching for either to delete a Partition or to create one . You can skip to the required part from the instructions below . Note: Deleting or merging Partition will erase all your stored data from the respective Partitions . Please take a backup of all your important data before proceeding further . You can open the disk management tool by clicking on the windows start icon and then right clicking on Computer and selecting manage . 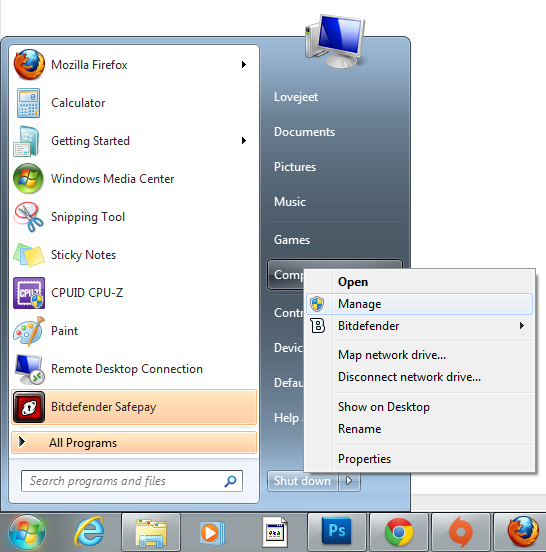 Step 1: From the windows start menu , right click on Computer and select manage . Step 2: From the computer management windows that opens up , select the disk management option under storage . Step 3: Now you will see the following menu as the screenshot below . 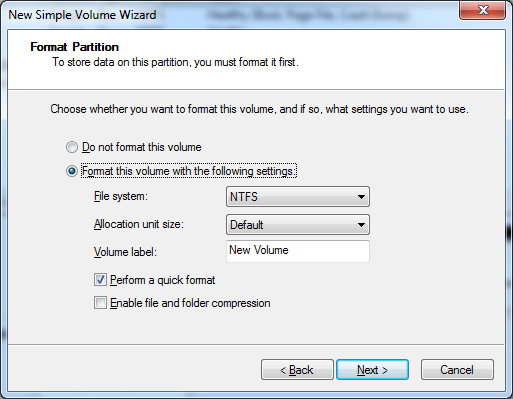 To delete any of the Partitions , right click on any Partition and select “ Delete volume “ . Click OK on the warning that will be displayed and the Partition will be deleted . Step 4: To create a Partition , right click on any Partition which is labelled as unallocated and select “ New Simple Volume “ Note: The process to create Partition will be same for both new and existing hard disks . in case of a new hard drive , you will have to start from a single unallocated volume . 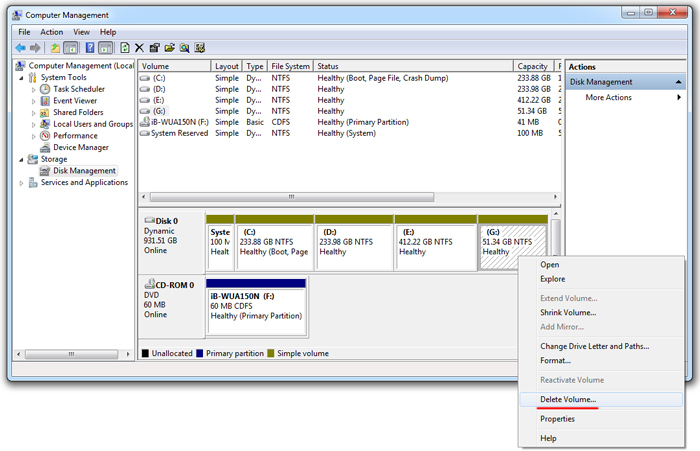 Step 5: In the windows that opens up click on next and then specify a size for the new Partition and click on “ Next “ . If you are creating partitions for a new hard disk , then divide the total space for each Partition beforehand . 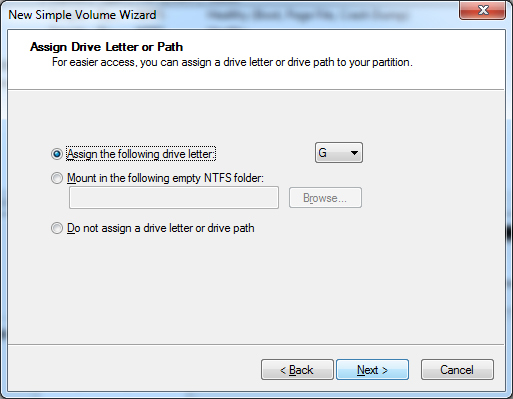 Step 6: In the next window select and assign a letter for the new Partition being created and click on “ Next “ . 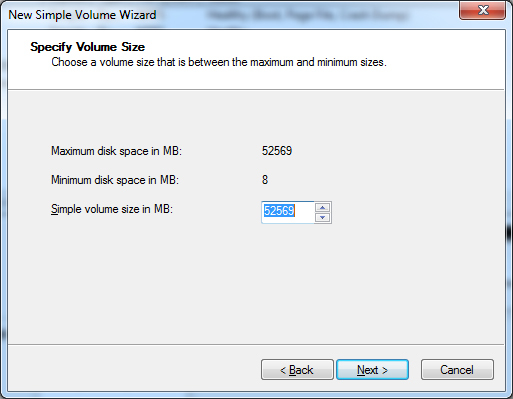 Step 7: In the next window select “ Format this volume with the following settings “ and select the settings as shown in the screenshot below . 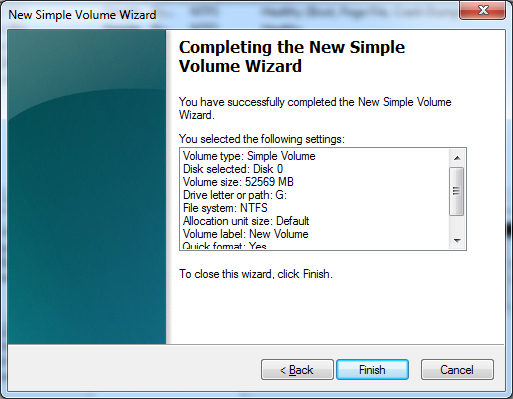 Step 8: In the final window , verify the settings shown and then click on “Finish “ to create your new Partition . Thats it and now you will be able to use the new drive you just created .